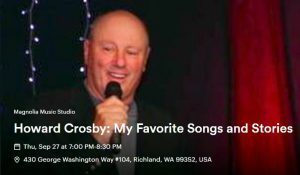 Howard Crosby is coming to The Listening Room at Magnolia Music Studio in Richland. Spend an intimate evening of song, story, and laughter, including songs made famous by “Uncle Bing.” Joining Howard on piano will be the celebrated accompanist Mr. Randy Kaping. Throughout the show, Howard will regale the audience with stories about Bing Crosby from their days together on the golf course and at family gatherings and holidays. Howard and Randy have entertained audiences throughout the Northwest, as well as in Palm Desert, Las Vegas, London and Dublin. Seating is limited and a portion of the ticket sales will go to Richland Rotary Scholarship Fund. Doors open at 5:30 p.m., dinner and program begins at 6:15 p.m.
Come enjoy a fun filled evening with good friends, yummy food, inspiring entertainment, and lots of laughter. We’ve dropped our prices to fit what you’ve already budgeted for date night. And don’t get caught up on semi formal, if your date night screams casual, wear it! The TCYC mission is to provide hope to the community through song and performances created to uplift and inspire. 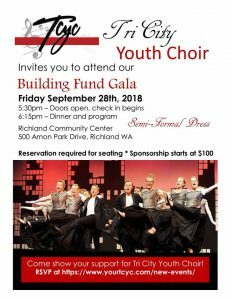 For this purpose, TCYC is hosting a Building Fund Gala to raise money for a permanent location for the youth of our area to develop and excel in their musical talents. 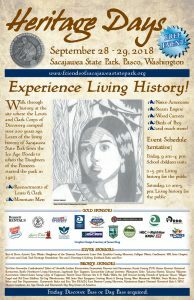 Walk through history at the site where the Lewis and Clark Corps of Discovery camped over 200 years ago. This will be a great experience and a lot of fun. 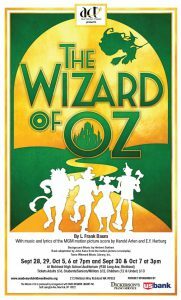 Plot Summary The Wizard of Oz: This beloved tale, in which a Kansas farm girl travels over the rainbow to discover the magical power of home, has been entertaining audiences for generations. Featuring all your favorite songs and characters from the timeless MGM film! Join us as we journey with Dorthy, The Scarecrow, The Tin Man, The Cowardly Lion and (of course!) Toto down the yellow brick road! From 6 a.m. – 9 a.m. 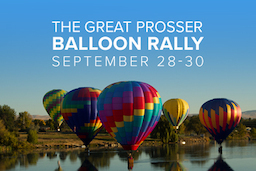 Hot Air Balloons take to the sky at The Great Prosser Balloon Rally. The balloons are scheduled to launch at sunrise from the Prosser Washington Airport. Please remember the launches are Weather Permitting, depending upon rain and wind. 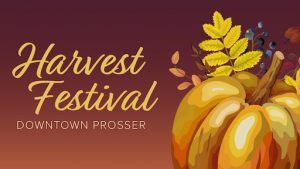 Daily from 8 a.m. – 4 p.m.
Friday from 11:00 a.m. to 5:00 p.m.
Sunday from 8:00 a.m. to 3:00 p.m.
Browse a wide variety of handcrafted arts, crafts, personal care products, and goodies at the Harvest Festival. Held each year in conjunction with the Great Prosser Balloon Rally this vendor show is a great stop after the morning launch, or anytime through the weekend. 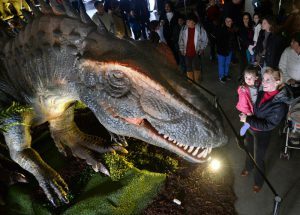 The festival will be in the downtown area on Meade Ave from 7h St to Banner Bank and on 6th St from Meade Ave to Bennett Ave.
Friday from 3 p.m. – 8 p.m.
Saturday & Sunday from 9 a.m. – 8 p.m.
Once our visitors have experienced the Dinosaur Exhibit, they’re not finished yet… There are many attractions and activities for all kinds of dinosaur fans. Our guests can dig up fossils like a real paleontologist, They can Ride on the back of a Huge 24ft TRex, or the spiky, Overgrown, Carnotaurus. There are several different species to ride and our guests always find their favorite. There are countless dinosaur themed rides through out the event… Inflatable mazes, HUGE slides, and the multitrack Dino Bungee Pull. Jurassic Quest has a Dinosaur Petting zoo where little ones can pet dinosaurs that are more their size and take photos. do crafts with the kiddos, Dino Science stations, Visit the fossil area in our Dinosaur Museum and see real dinosaur fossils dating back over 60 million years. 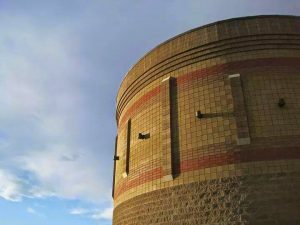 Mid-Columbia Mastersingers returns to the B Reactor for a weekend of concerts for the 75th anniversary commemoration of the Manhattan Project. The program will explore aspects of why the U.S. chose to join the war effort, framed by our experimental system of government whose core values we defend around the world. 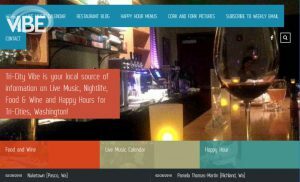 Friday and Sunday concerts include full gourmet dinner service with optional wine and beer, while the Saturday concert includes hors d’oeuvres and complimentary non-alcoholic beverages. 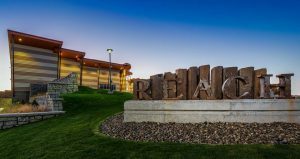 Return bus transportation from Richland is included for all concerts. The First Annual Super Hero Fun Run in support of Royal Family Kids Pasco at the Southridge Sports Complex. We are excited to offer this fun, family friendly experience which will serve two purposes: The first, to offer families the opportunity to serve together as they raise much needed support for our local RFK and their mission to “confront abuse * change lives” for area Foster Children. Secondly, a great fun filled family event which will make positive and lasting memories. This is a fundraiser and all purchases are non-refundable. Please allow ample time for race day parking congestion. 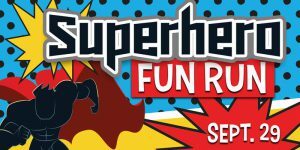 Thank you for your support of the 2018 Superhero Fun Run benefiting the Royal Family Kids serving the Tri-Cities and surrounding areas. 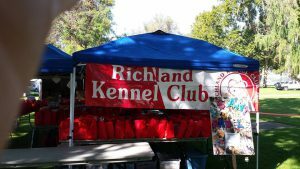 Registration opens at 10 a.m., 3 mile walk begins at 11 a.m. The Walk to Defeat ALS is the #1 way to empower yourself to lend support to those fighting and caring for someone living with ALS. Every year, hundreds of thousands of people across the country come together to raise funds to support care service programs, enable cutting-edge research, and advance nationwide advocacy efforts for people with ALS and their families. What started as a small group of concerned citizens has now grown to a nation-wide campaign with more than 175,000 participants annually. Since 2000, the events have raised over $238 million toward our vision – a world without ALS. 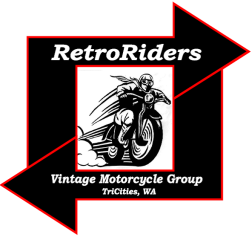 The RetroRiders Annual Vintage Motorcycle show is open to all motorcycles that are at least 25 years old. Staging is from 8 a.m. – 10 a.m. Show starts at 10 a.m. awards and raffle drawing is at 3 p.m. Entry of bike in the show is by donation ($10 suggested) to the Lourdes Foundation Children’s Summer Day Program. 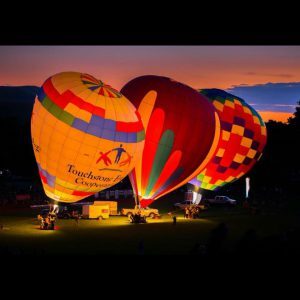 From 5 p.m. – 10 p.m.
Night Glow is a great opportunity to see the balloons and their beautiful glow as the pilots light their burners to music!! Event is Weather Permitting and can be canceled for wind due to the fact it can cause extreme fire damage to the balloons. 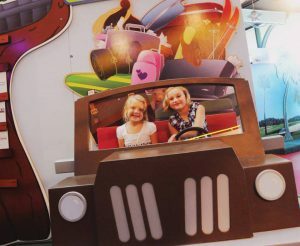 We have a free kids zone for the children to play on and enjoy prior to the show. The Prosser FFA has food for purchase at the top of the stadium. Save the date for The Rude Mechanicals first gala fundraiser! 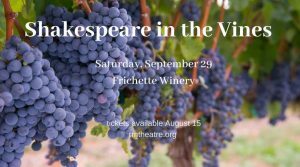 Join us at Frichette Winery for an evening of superb wine, delicious food, and fantastic entertainment. We will have a wonderful menu, inspired by the settings in Shakespeare’s plays. We’ll have a wine ring-toss, silent auction, live auction, fantastic entertainment, and a Midsummer Night’s Dream dessert bar to finish the evening. We are excited to share this special evening with our community, and we hope to see you there! Join the Tri-City Americans as they compete against the Everett Silvertips. Saturday & Sunday from From 11 a.m. – 5 p.m.
Our studio tour is an annual free self-guided tour of the working studios of up to 12 artists, who will be on hand to answer questions and may be creating pieces as the visitors come through. 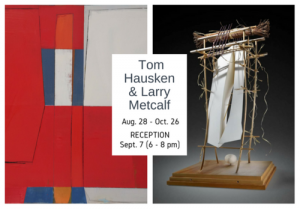 Although the artists will have work available to buy visitors should feel free to think of this as an exhibition and an opportunity to experience and learn about the art that some of the Tri-City’s professional artists are creating. 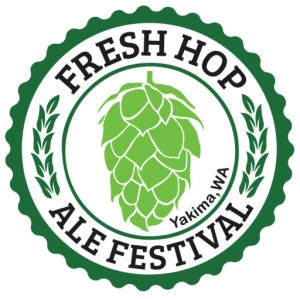 Saturday from 11 a.m. – 4 p.m.
Sunday from Noon – 4 p.m. 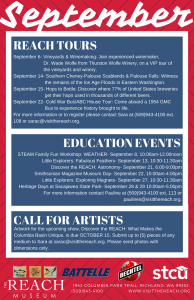 This is Sandollar Farms & Alpacas annual event to celebrate fall. 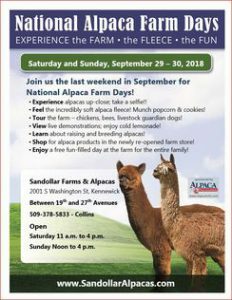 Come enjoy the crias (baby alpacas) frolicking in the pasture, take a selfie with an alpaca, munch popcorn and sip cold lemonade while you watch fiber arts demonstrations or shop in our new farm store. We can’t wait to see you! Monday-Thursday: 8 a.m. – 8:30 p.m.
A reception will be held on September 7 from 6 to 8 p.m.